Tired of Microsoft moving the goal posts again and again? Well, being the best and smartest Microsoft Indirect CSP Provider, we’re here to help! We know that giving customers simple support should not cost the earth, which is why by becoming a CSP partner with intY today you can save paying Microsoft a direct Advanced Support fee of up to $15,000. Yes, you heard right…from August 31st 2018, Microsoft will be charging partners a mandatory $15k fee from your anniversary renewal date! So…why wait? Move now and you can increase profitability through enhanced margins, as well as provide a broader range of Microsoft services to your own customers. Don't pay additional support fees. Enjoy a predictable high recurring CSP model that you can trust. Have no minimum sales requirements. From the very first day, intY worked tirelessly to understand our business and the customers we serve. (…) Their ethos is very much built around the need to personalize their service to meet our demands. This allows us to pass on huge benefits and savings to others, and is something not seen amongst other Indirect CSP Providers. 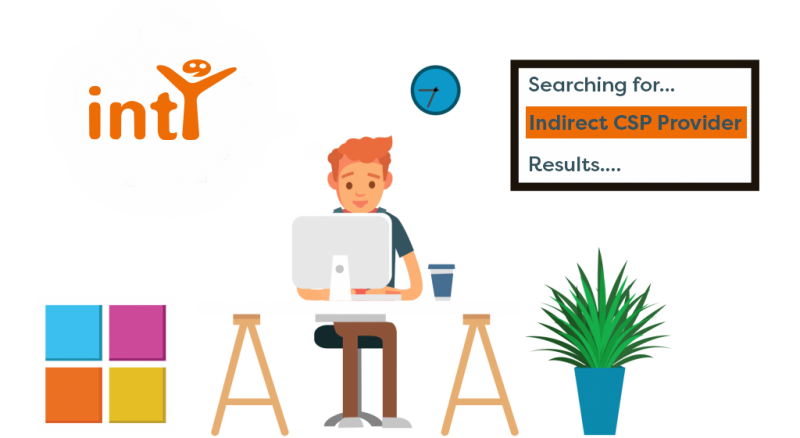 You don't need any other Indirect CSP Provider...you just need intY! We know there are other Indirect CSP Providers out there, but we are recognised as Cloud Distributor of the Year by CRN! Simplified billing for all your customers. Super support to help you deliver the service your customers expect. Personalized service with a dedicated account manager. Giving you more than just Microsoft... you also get Symantec, Acronis, BitTitan and many more. The partner programto rule them all! intY gives you the flexibility of two types of partner programs to sell CSP the way you want. A deeper relationship with you, their trusted IT expert. The broad choice of cloud services available. How quick they can get their cloud services up and running. Are my sales recognized by Microsoft? If you select our Expert Partner model, all sales are recognized on the MPN you register with. What are the expectations/sales targets? With intY there are no targets to meet. How do I get access to the portal/services? Once signed as a partner, you will receive an email giving you access to CASCADE, our cloud marketplace. You can then order any of the cloud services on offer. You will have a dedicated account manager when you sign up, who can help advise on how you can grow your cloud business. They will be your personal contact for anything you need. Only a couple of minutes through our simple online sign up form! No! Here at intY we provide you super support at no additional cost. When will Microsoft start charging for support? Microsoft will start charging Tier 1 distributors the mandatory support fee from August 31st 2018, but it will only take effect on your anniversary renewal date…but why wait? Join us today to avoid the fee.